Members of the MaXIMA project team attended the World Congress on Medical Physics and Biomedical Engineering 2018 (IUPESM 2018). 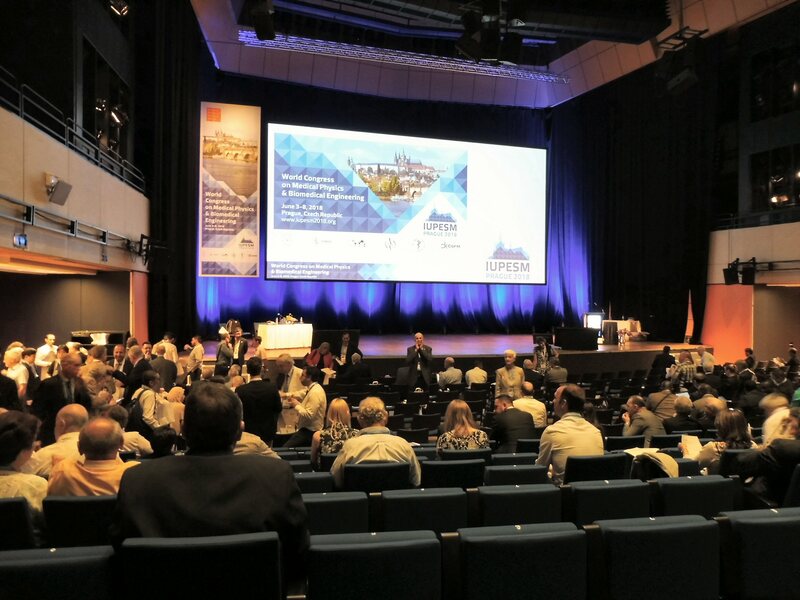 The congress was held in the city of Prague, Czech Republic during 3-8 June. The event is considered to be one of the largest forums that gather together experts and researchers in the field of Medical Physics and Biomedical Engineering. • “Development of a software tool for analysis of x-ray images: A case study in breast imaging” – e-poster by Zhivko Bliznakov. The World Congress has proven to be an appropriate place for interacting and sharing of ideas, exchange of knowledge and experience, taking into account the interdisciplinary nature of the MaXIMA project.